Join us in the Student Lounge in the Newman Center (downstairs) as we bring out the board games, and play ping pong, pool, and Foosball. Don’t miss this dance party to kick off the year, featuring DJKred underneath the tent on the front lawn of the Newman Center! There will be food after all of the Masses this weekend, but join us in particular after the 5 PM Mass for a free, delicious, pasta dinner. Catholic Freshmen, come to the Newman Center for free Ice Cream and a time to hang out and meet other Freshmen. Also, you’ll have the opportunity to meet the Freshman Outreach Team, Sophomores dedicated to welcoming and serving you, and Newman Center staff. Come and relax after the first day of classes, and bring your friends! All students are welcome to come for our Welcome Back BBQ at the Newman Center, located on campus at the corner of 2nd St. and Cherry Ave. Come, meet other students and enjoy some free food, which will be followed by our weekly Wednesday Night Student Mass at 7:30 PM. Bring your friends! Join us as we show “Back to the Future” on the Newman Center front lawn. 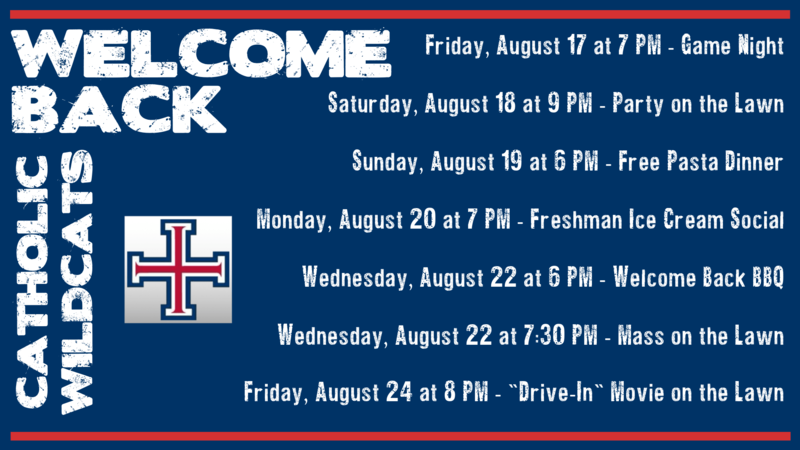 Relax after the first week of classes, and meet other students! 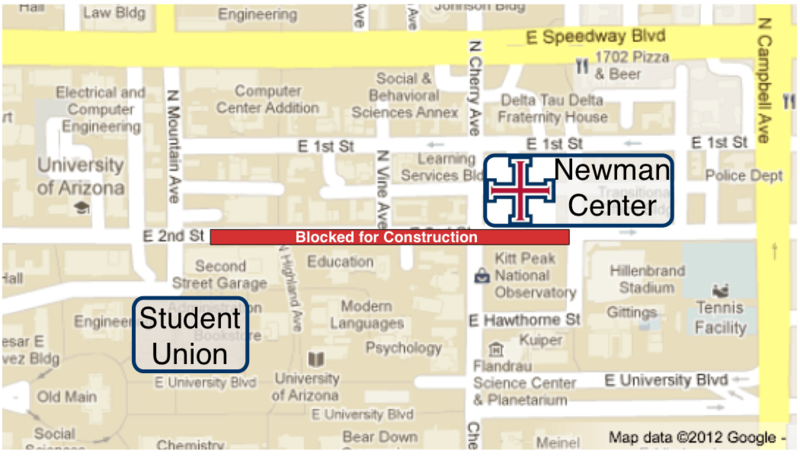 Currently, 2nd Street is blocked because of construction as shown on the map below. Access to the Newman Center by car is limited to Cherry Ave and Warren Ave. This entry was posted by St. Thomas More Catholic Newman Center on August 16, 2012 at 1:56 am, and is filed under Events, News, This Week at Newman. Follow any responses to this post through RSS 2.0. You can leave a response or trackback from your own site.